Clinic Synopsis: This clinic would address the issues of Culture, Self-Improvement, and Integrity. Anyone starting in a new position must understand the difference between culture and climate and be adept in identifying cultural norms of their new organizations. Self Improvement doesn't happen by accident, each of us must have a plan to set us on a path of lifelong learning. Our most important personal asset is our reputation and Integrity must be present in all of our interactions. Clinician Biographical Information Colonel (Retired) Thomas H. Palmatier was formerly the Leader and Commander of The U.S. Army Band "Pershing's Own" and at the time of his retirement was the senior musician in the U.S. Armed Forces. He is now a Conn-Selmer Educational Clinician, President of THP Music Consultants, and is a monthly columnist for SBO Magazine. He travels widely as a conductor, clinician, adjudicator, and consultant. He is or has been on the conducting faculties of the Blue Lake Fine Arts Camp, the Western International Band Clinic, the Music for All Summer Camp, and the Czech Music Camp for Youth. 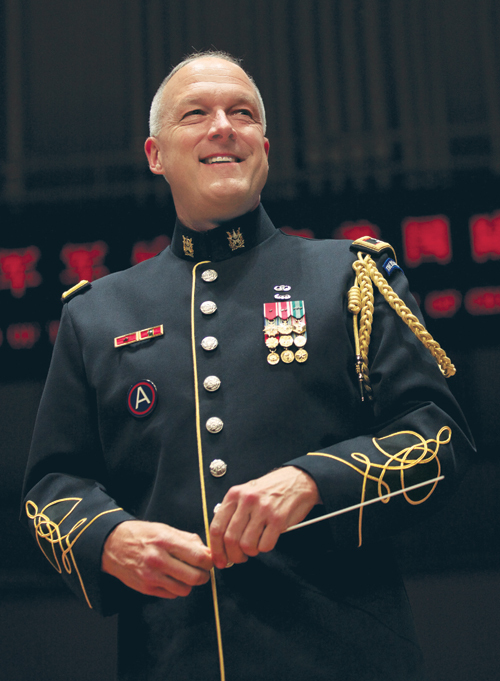 He is a Past-President of the North American Brass Band Association, is on the Board of Directors of the John Philip Sousa Foundation and is a member of the American Bandmasters Association.